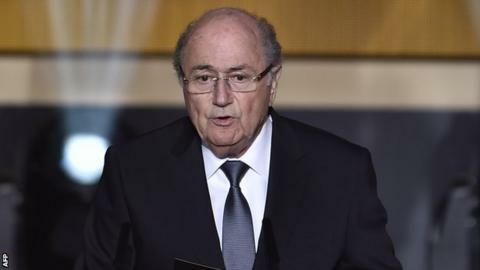 Fifa says it will be unable to confirm who is standing for election against president Sepp Blatter for "some time". The deadline for nominations is 29 January, but Fifa electoral committee member Dominico Scala has said it will only start assessing candidates then. Candidates must pass an anti-corruption test before they can be confirmed. Jerome Champagne,Prince Ali and David Ginola have all expressed a desire to challenge 78-year-old Blatter as head of world football's governing body. "We have to consider that it will take some time until the Ad-hoc Electoral Committee will be in a position to announce the candidates," said Scala in a statement. "It is possible that relevant documents will be received at the beginning of February, and we have to ensure that all of them are taken into account before even being able to look into the profile specifications of any candidate." The documents will then be sent to the investigatory chamber of the ethics committee to carry out integrity checks, which they must do within a 10-day deadline. The election is due to take place at the 65th Fifa congress in Zurich, which starts 29 May, as Blatter looks to retain his presidency for a fifth term. Frenchman Champagne, 56, worked for Fifa for 11 years as an executive before leaving in 2010, while 39-year-old Prince Ali Bin Al Hussein has president of Jordanian football since 1999. Former France international Ginola, 47, is being paid by a betting firm to oppose Blatter. What next for Fifa and Sepp Blatter? Read more on World Cup corruption report: What next for Fifa and Sepp Blatter?